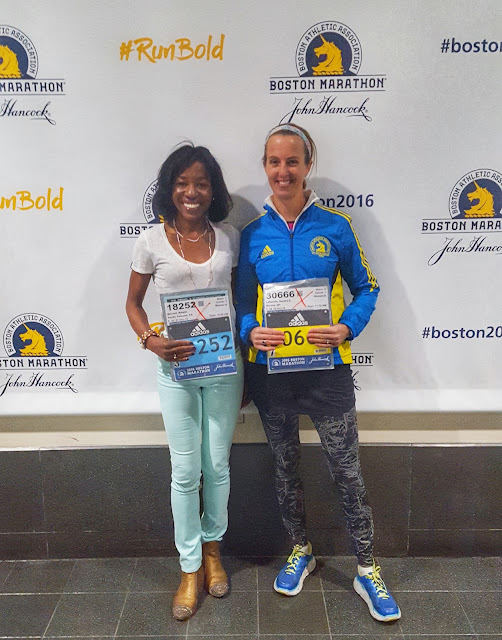 Natrunsfar: The Boston Marathon 2016: Runners Are The Nicest Friends! The Boston Marathon 2016: Runners Are The Nicest Friends! 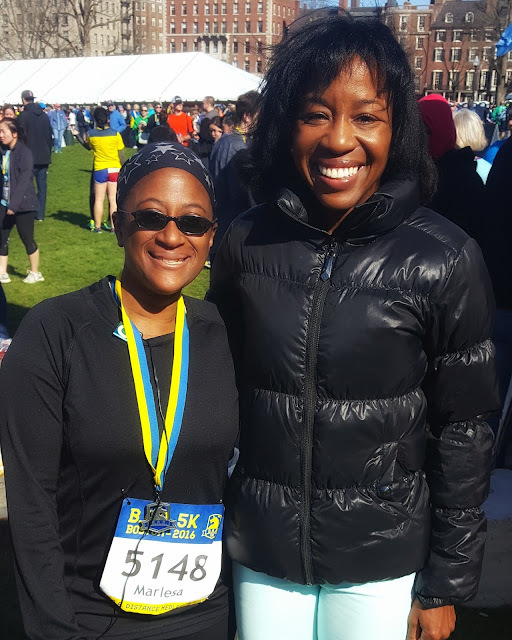 It's been 11 days since the Boston Marathon and I am still smiling every time I think about the weekend. If you missed my posts on my experience as a Mom running a marathon or my full race recap - you can read them HERE and HERE. First, I'll start with my dear friend Laura. Laura and I met as seventeen year old college freshman at UC Santa Barbara. We were on the cross country team together (she is an awesome runner!!) and our sophomore year we rented a house with NINE other runners (yes, we had some EPIC parties!). We called it the track house and we had such a blast together! Memories include sharing an entire pizza the night before a cross country meet, bonding over our early morning gorgeous runs in Santa Barbara and then laughing at some crazy joke on our long afternoon runs. 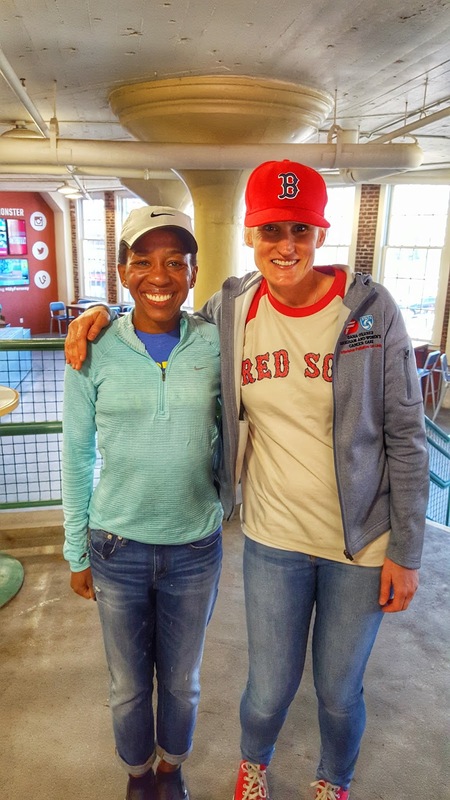 When I arrived in Boston, we couldn't wait to see each other and catch up! She is also the rock star who made those awesome race signs for me and drove my family to the half so they could see me in two spots. I am so grateful for her friendship all these years later. Courtney and I also met for the first time at the Oiselle shake out run on Sunday. It was so fun to meet and hang out with Courtney! Let me say, Courtney is like a celebrity - so many runners were coming up to her, extremely excited to meet her!! She is so kind and genuine and I look forward to seeing her again someday soon. Sandra and I met last summer at Blog Fest. 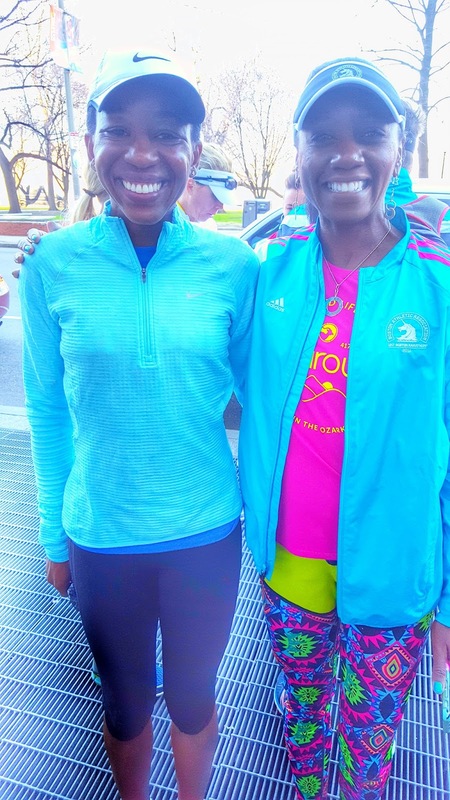 I recognized Sandra from her running blog and went up and introduced myself. You know when you have that feeling that someone is immediately going to be your friend? Yep, that's how it was and I always look forward to hanging out with her! 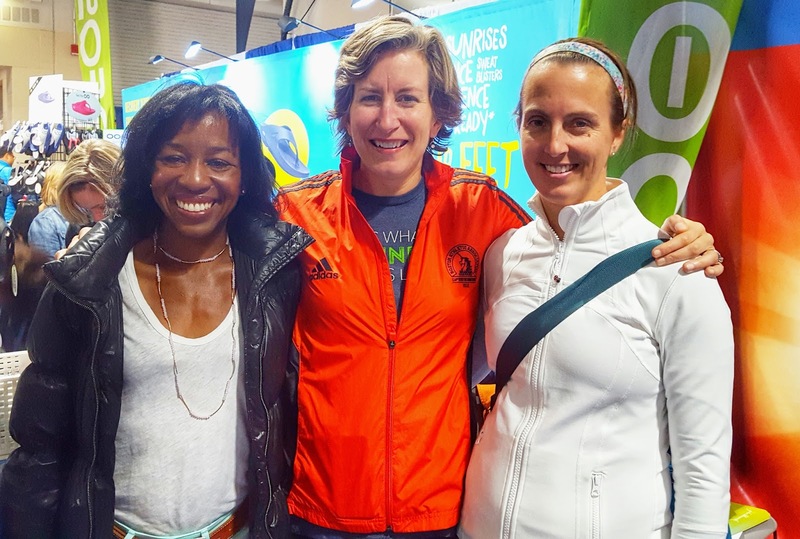 We spent Saturday afternoon at the expo, checking out the finish line and having a carbo charged lunch together. 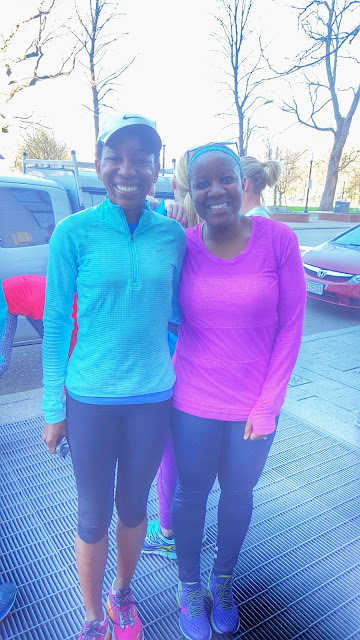 This is what running is about - meeting awesome friends! And we met Sarah from Another Mother Runner at the expo!! Well, that's a wrap friends. Part three of my Boston experience is complete and now it is time to move on to new adventures. I would love to tell you all about the amazing race calendar that I have lined up for the rest of the year, but it doesn't exist right now. I am running slow, easy runs, enjoying the sunshine and thinking about what's next.